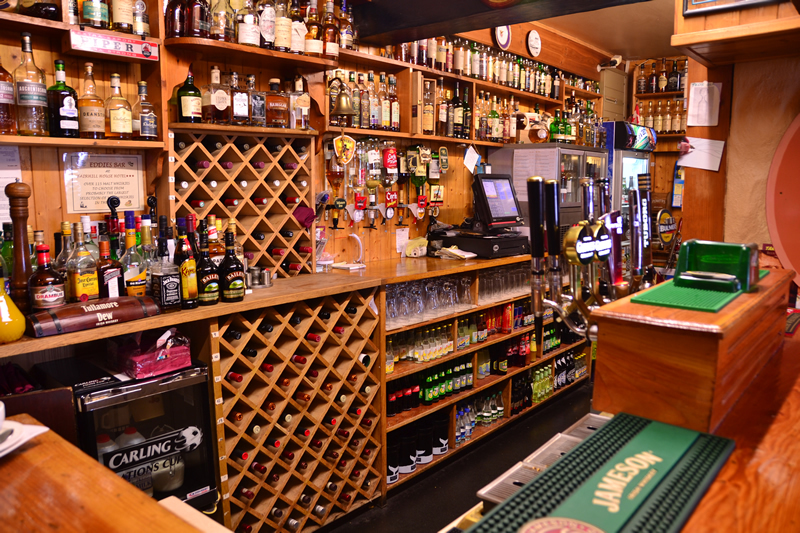 Eddie's Bar is a typical traditional West of Ireland Pub or more precisely a Connemara Pub, with its open fire, old whiskey barrels, stone floor and much more to see. We pride ourselves on the quality of our pints and our large selection of fine Irish and Scotch Malt Whiskeys which, we are reliably informed, is one of the largest and most complete to be found anywhere in Ireland, with over 150 malt whiskeys. Whiskey tasting can be arranged for groups. You're only a stranger for the instant that you walk through the door and we can almost guarantee that you'll meet some memorable characters and make some new friends before you leave us. 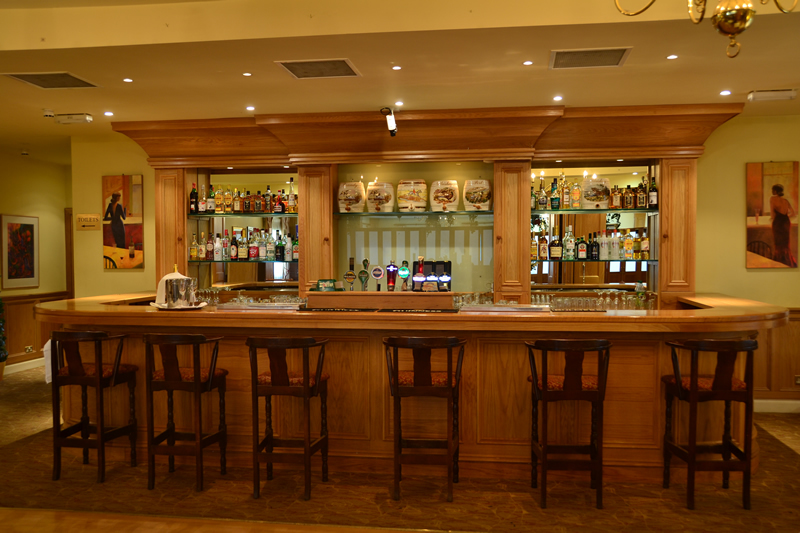 We offer a full Menu in our bar with a selection of traditional favourites, fresh seafood & large steaks that will fit the bill at any time of the day. 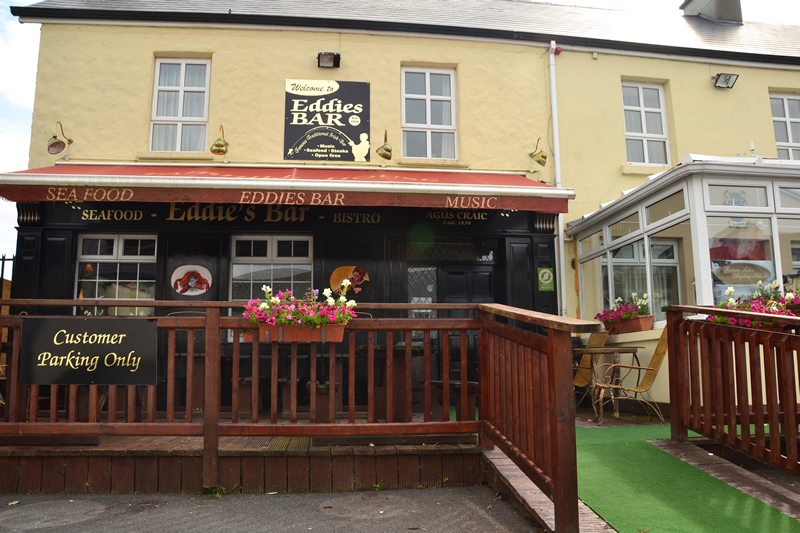 During the summer months there is a large terrace outside Eddies Bar, where you can enjoy the Connemara sunshine! Along with a platter of Corr na mona smoked salmon and a creamy pint of Guinness. Our bar menu is available from the time we open up until 9:30pm. Live music is a constant feature at Eddie's Bar. There is a high standard of traditional & folk music every weekend.